All Kenyan embassies must bring all those in the diaspora together and identify their needs, President Uhuru Kenyatta has said. Uhuru said the missions are also required to update the diaspora on important developments in Kenya. They are also to give updates on the country of accreditation, changes in laws and Kenya’s relations with other countries. “Kenya places great value on her diaspora and my government has continuously called on all Kenyans wherever they are, to work together and stand as one,” he said. The President added in his address to Kenyans in Brussels, Belgium, on Thursday night that the needs of Kenyans in the diaspora are his priority. He said at Hotel Metropolitan that the government values their contributions to national development and will continue to find way to integrate their input. “It is important to note that the diaspora provides considerable support through remittances. Central Bank has reported that remittances increased by 11.2 per cent in the last year,” he said. He further noted that Kenya was one of the recipients of the highest remittances from Europe in 2015. The President said that the government is putting in place mechanisms to enable Kenyans living in foreign nations to enjoy the provisions of the constitution on dual nationality and voting rights. Uhuru called on Kenyans living in foreign countries to work hard and contribute to the progress of Kenya and their host countries. “Use your time wisely while sojourning abroad. Diversify and improve your skills in different areas to take greater advantage of the international job market,” he said. The President said the government will continue engaging engaging foreign nations including Belgium to harmonise academic and professional certificates to open up job markets for Kenyans. Foreign Affairs Cabinet Secretary Amina Mohamed and Kenya’s Ambassador to Belgium, Johnson Weru, also spoke. 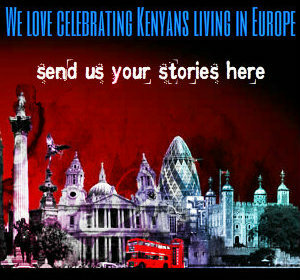 News targeted at Kenyans and friends of Kenya resident in Europe.